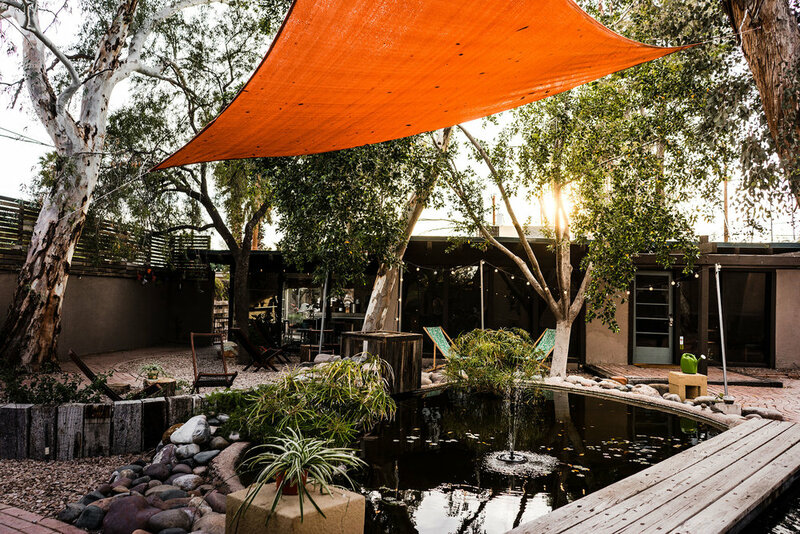 Originally built for the private residence of former Tempe Mayor Harold Andrews, renowned landscape architect A. Wayne Smith eventually converted the property for his thriving architecture firm. A. Wayne Smith & Associates. More recently, the property was for sale, with multiple buyers ready to demolish the home to make way for apartment homes. 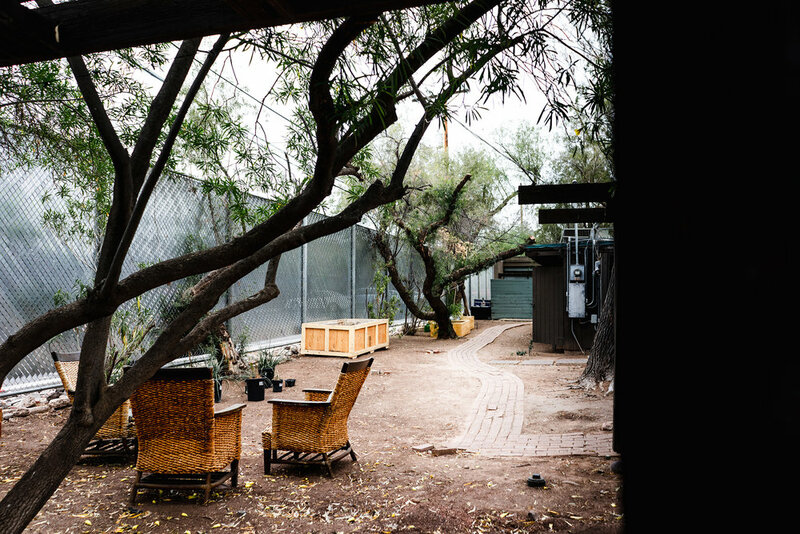 The Wayne Smith's founder, Salim Zeitoun, a tenant at the time, didn’t want to see Tempe lose another piece of its history, and thought others could benefit from working in such a unique space. Luckily, the seller didn’t want to see it go either, so with his help, and other community members, Mr. Zeitoun bought the property in late 2017 and has been working to restore it to its former glory ever since. Salim's grand vision at the Wayne Smith is to build a holistic space where creatives and entrepreneurs can work, play, and live as a community. Today, The Wayne Smith offers a unique and cozy space for coworking, meetings and events alike. Our space is designed for creatives. We believe that well-designed areas inspire creativity, innovation and togetherness. Printers, post-its, brainstorming walls and quiet areas are all features that bring your office to our home. Show up assured that we have your stationary needs covered. Work and coffee go hand in hand. Members can enjoy drip coffee, as well as cold brew on tap. We are a boutique, tight-knit community of creators dedicated to each-other's success and well-being. We focus on quality over quantity. Connect with colleagues and other like-minded creatives during our weekly and monthly events. Find friends and your next business partner. We love having our furry friends at the house. There are some ground rules here, but if your puppers are well-behaved, bring 'em in! We may feature them on our Instagram. (coming soon) Thanks to our local friends at Kingdom Bikes, we have commuter bicycles on site. Run errands or grab lunch on one of our rad single-speed bikes. Our pond and outdoor areas are one of our most exciting features. Experience our historical aesthetic and work in a space that drives meaning and tranquility. Come work and become a part of The Wayne Smith community. Get a workspace that meets your needs. From pay-per-day flex passes, monthly memberships to dedicated build-outs, create the perfect space for your rising business. Come and go as needed and take advantage of desk spaces in our common areas. Just bring your laptop, pick a space and get started on something big. For companies who are growing or need more privacy, choose from our select reserved spaces. Our offices can accommodate teams up to 10 persons. Have a vision for your ideal workspace, nested in a tranquil environment? Lets talk. Our in-house architects can help you craft the dream space. Up to 1,800 square feet available. Our boutique, creative campus is situated minutes south of Arizona State University and downtown Tempe. Come visit this quiet getaway that offers private offices, flexible memberships, and meeting and event spaces. 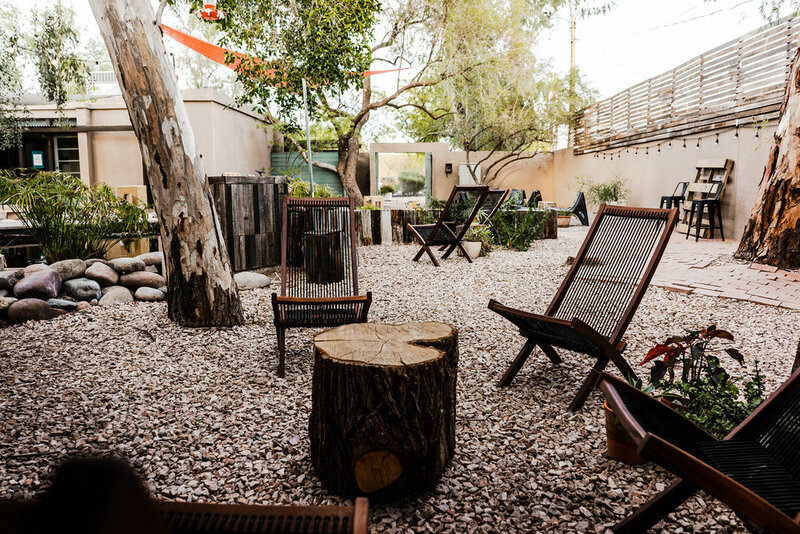 Experience one of Tempe's best kept secret event mixed-use spaces. Our home, including surrounding areas can be rented out for your next event. 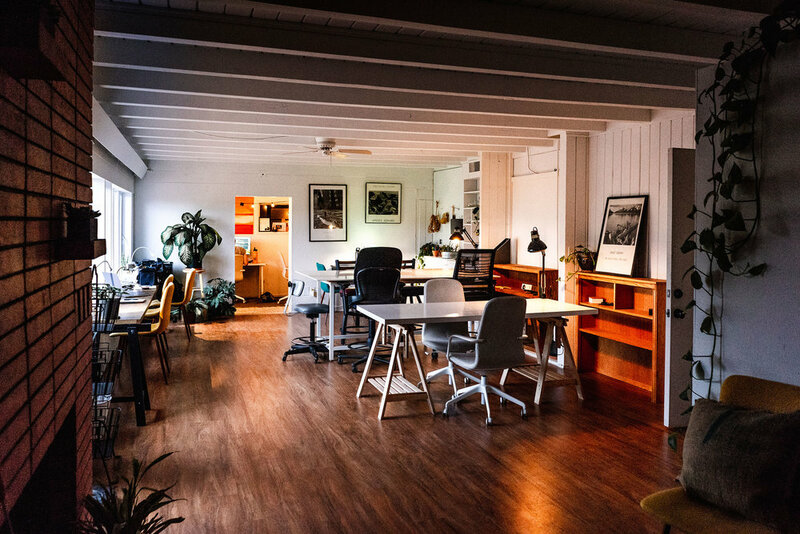 Music and performance spaces, startups, networking events, showcases, podcast studio, company retreats, yoga studio, art gallery, we can host it all. We’re constantly holding events and workshops at The Wayne Smith. Sign up for our newsletter and get notified when cool stuff is going on.